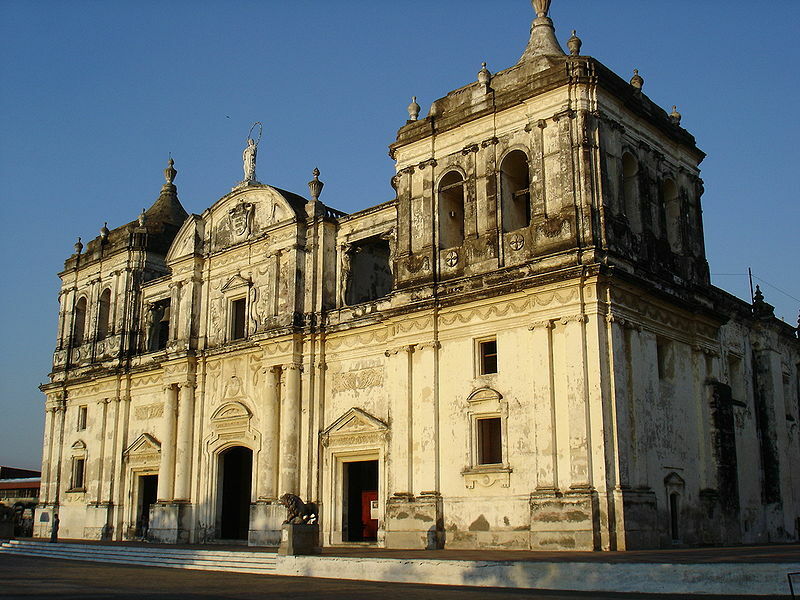 León is the second largest city in Nicaragua, behind the capital of Managua. 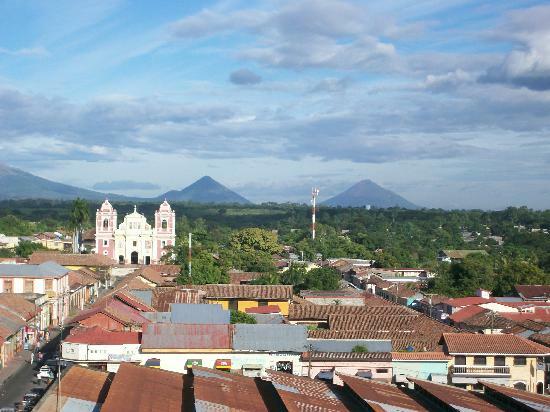 Located in the northwestern department of the same name, it is home to the top universities in the country, several impressive museums and the largest cathedral in Central America. With so much education and culture, it is no surprise why it has produced so many progressive thinkers and liberal activists. Despite its relatively peaceful atmosphere today, León includes a pretty violent history. In 1956, the first President Somoza was gunned down by poet (and martyr) Rigoberto López Pérez. During the Sandinista Revolution and the Contra struggles of the 1970s and 80s, the city suffered considerably due to the fact that the government suspected that plans against them were being formulated there. 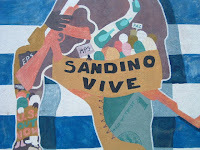 It was bombed on a number of occasions and many bloody and violent street battles occurred between the Sandinistas and Somoza’s National Guard. 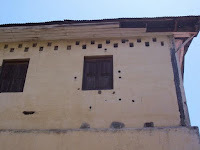 Proof of this violent past can still be seen in the bullet-marked buildings and the remaining murals displayed on the walls throughout the city still express the political sentiment. Today, León consists of a combination of progressive attitudes with older traditions rooted in its Spanish colonial past. Dominating the main square is the gigantic Catedral de la Asunción, or more simply known as the León Cathedral. Inside its beautiful sanctuary is the marble tomb of the country’s most revered poet, Rubén Darío. 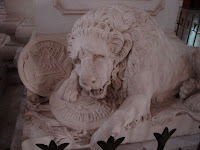 The monument is guarded by a weeping lion with the inscription that states: "Nicaragua is created of vigor and glory, Nicaragua is made of freedom." Although these words were written in the past, they are still appropriate to today’s political climate. Parque Central: It is located at the intersection of Calle Central Rubén Darío and the Avenida Central, but all you need to do to get there is to find the cathedral. 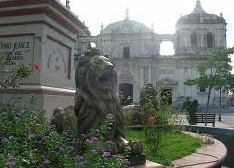 Situated in the park’s center is the statue of General Máximo Jeréz who is guarded by four lions. The area is becoming more and more crowded with vendors selling everything from souvenirs to arts and crafts (which is good for local economy), but it can get pretty noisy at times. Catedral de la Asunción: One of the main reasons to visit the city, this beautiful cathedral (seen in the photo at the top of this post) took more than 100 years to complete. To put it into perspective, eight different bishops had to oversee its construction by the time the first mass was held in 1747. It is a fascinating combination of colonial, neoclassical and baroque design, and it contains a collection of Spanish colonial art as well as a lineup of the country's most famous individuals including Rubén Darío, Miguel Larreynaga, and Salomón de la Selva. 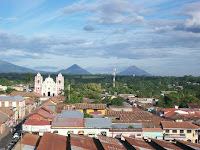 For a small fee, you can climb to the cathedral's domed roof for spectacular views of the city, its brightly colored rooftops, and the nearby volcanoes that loom on the horizon. Mercado Central: This main market of the city is loud, noisy, and hot with a constant stream of activity by both residents as well as visitors. But the vendors sell everything from fruits and vegetables to every type of souvenir imaginable. 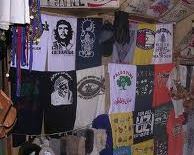 You will also find some of the best prices for a Che Guevara t-shirt and other revolutionary-influenced items. Galería de Héroes y Mártires: Located on the northeastern corner of the Parque Central, this star-shaped monument is surrounded by a photographic collection that honors the city's revolutionary figures. It is an emotional look at the city's violent past and it reminds everyone that freedom comes from the sacrifice of others. Some sarcastically call it the "Museo de las Traiciones" (Museum of the Treasons) as a reference to how the Sandinista rank and file has been cheated by Daniel Ortega and the rest of the Sandinista elite. 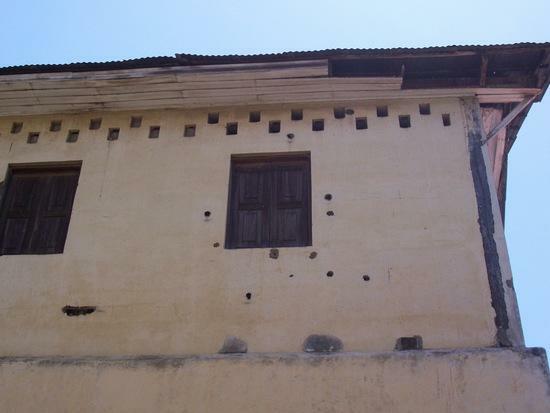 Again the bullet-marked buildings are a remainder of former violent times. Associación de Combatientes Históricos Héroes de Veracruz: For those who want even more Sandinista history, this building is located on the southwestern corner of the Parque Central in a former Sandinista stronghold. It includes collections of photos, articles, and just about everything surrounding the revolution. 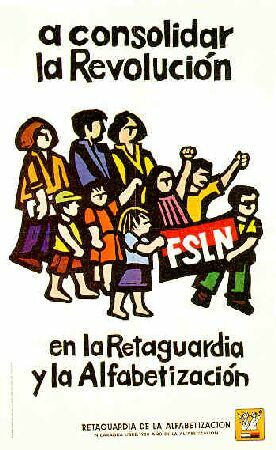 Best of all, it is led by an actual Sandinista combat veteran. Centro de Arte Fundación Ortiz-Guardián: Located three blocks west of the cathedral on the Calle Central Rubén Darío, it includes one of the best contemporary art collections in the country. Located in two buildings, it even includes works by Picasso and Rembrandt. Museo Rubén Darío: Located four blocks west of the Parque Central, it was the home of the Darío’s aunt and the childhood home of the famous poet. It includes a substantial collection of letters, magazines and original copies of books that he published during his lifetime. The rooms are maintained to resemble what it was like to live there in the past. Finally, with so many beautiful and historic churches, it would be unfair to cram them into the end of this post. 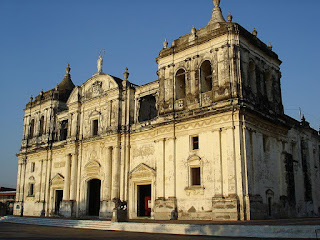 So, I will cover the main churches in an upcoming post (The Churches of Leon Nicaragua).